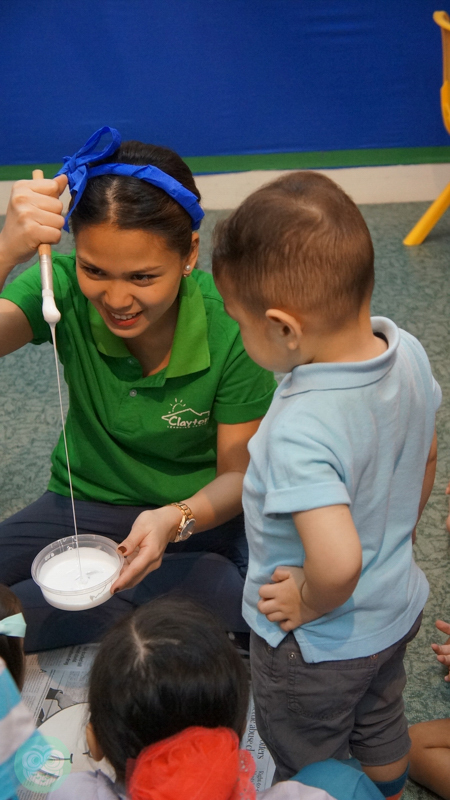 During the Grand Baby Fair last January 30, 2015, where I was invited to do a segment, I witnessed a live demo by Clayton Learning Center that enthralled kids and parents alike. This all of a sudden made me want to let lil’ Mr. GJG go to school. 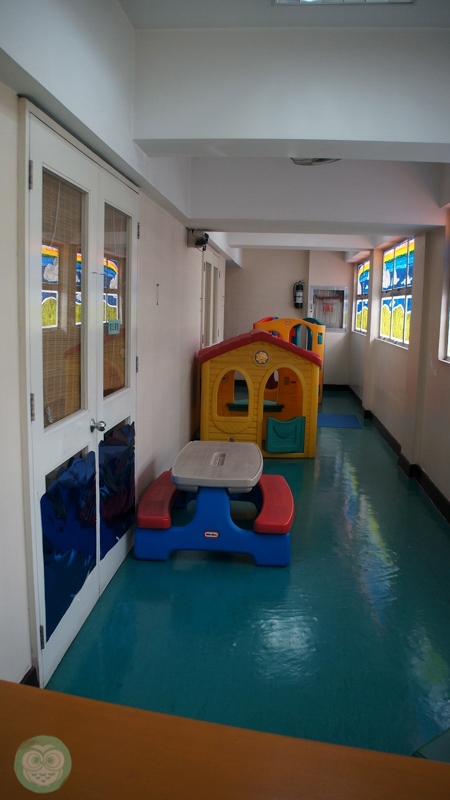 Truth be told, we were set in letting our second child attend school at a later age (maybe when he’s already 4 years old) given the whole K-12 program starts when a child is 5 years old. 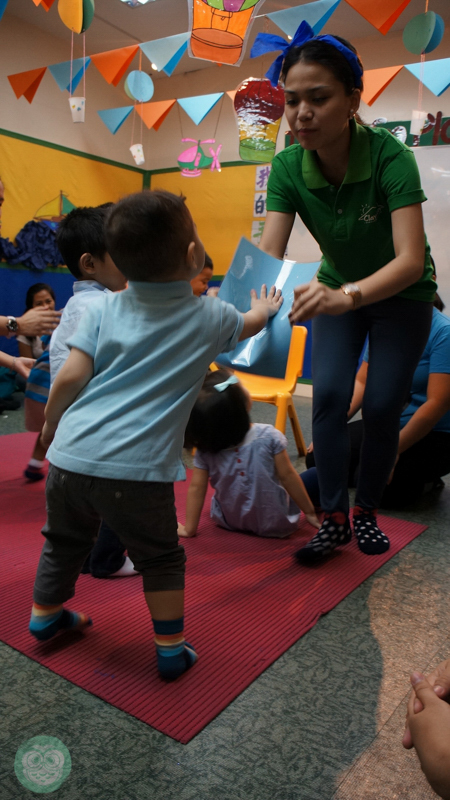 With his bubbly personality, we assumed he would just charm his way into the hearts of his would-be teachers and classmates. 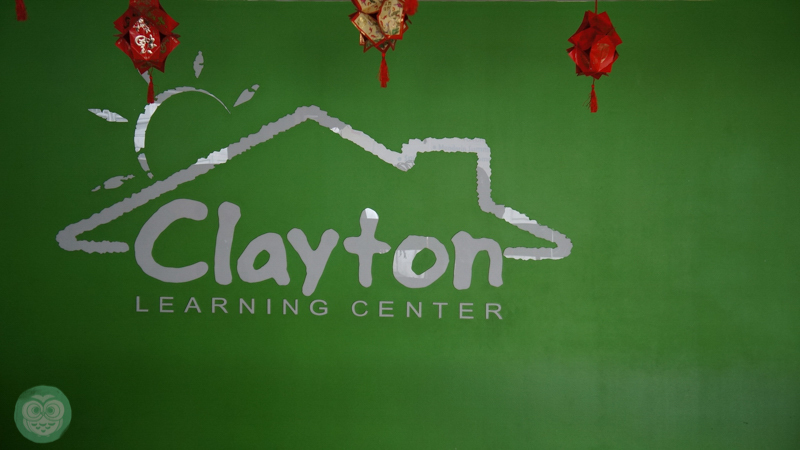 Still, a part of me wanted to let him try, so when Clayton Learning Center invited lil’ Mr. GJG to sit in for a trial class, we didn’t hesitate for we figured this is exactly the right time to know if he’s ready to go to school or at least for a short summer program. 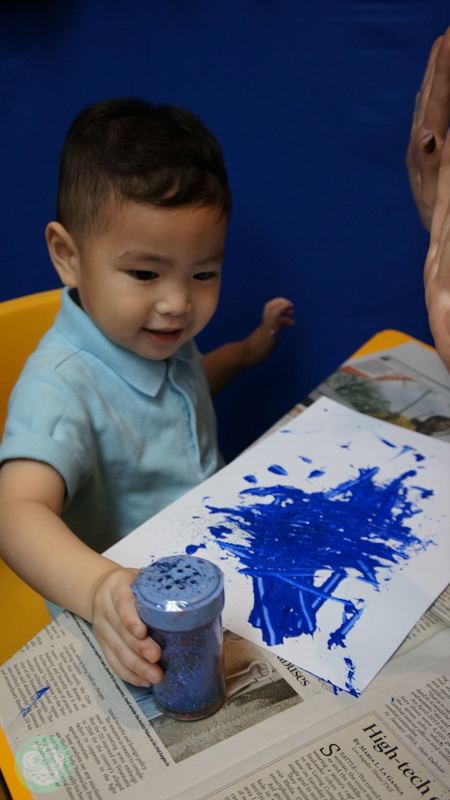 Clayton’s play-based programs provide children a holistic and progressive environment which can help them stimulate their curiosity when it comes to learning while at the same time having fun. The entire look of Clayton was inviting especially for my 2 year old lil’ Mr. GJG whose eyes were wandering all over the place. 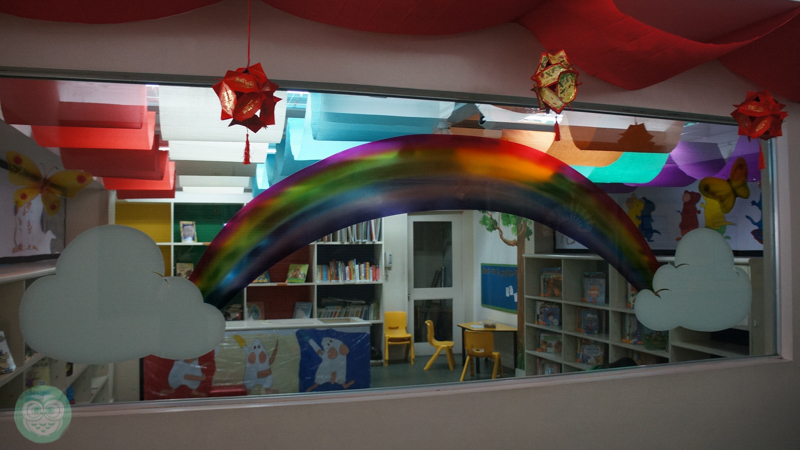 The library is the first room we spotted upon entering Clayton. 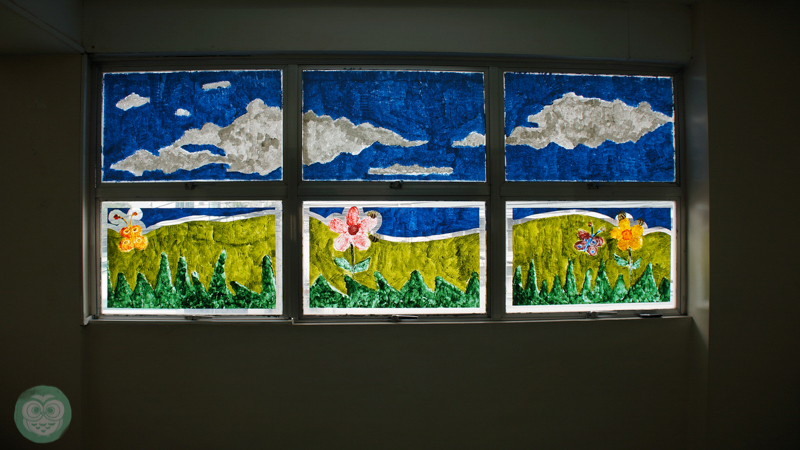 Painted windows for more visual stimulation. 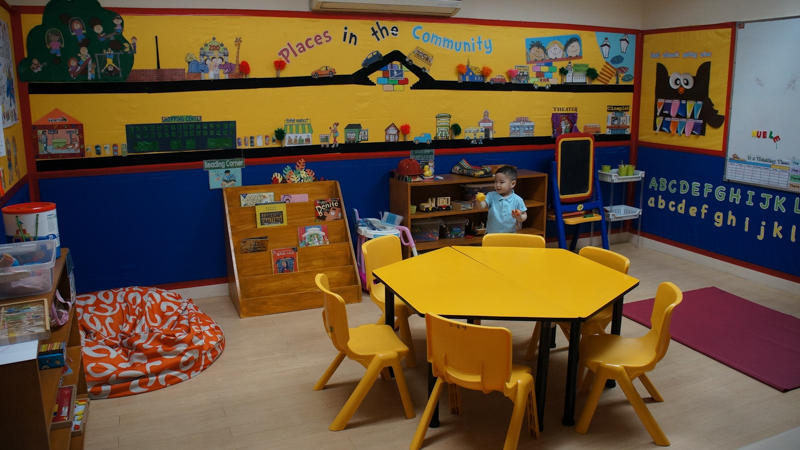 When Teacher Arlette, Clayton’s Head of Education gave us a quick tour of the school, she guided us to one of the classrooms to take a peek inside. 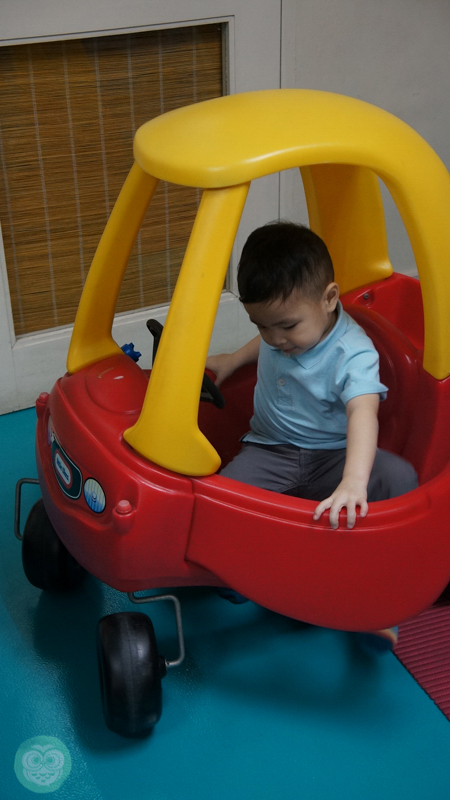 But lil’ Mr. GJG missed the cue and gladly went inside as if he was one of the students being so familiar with the place. 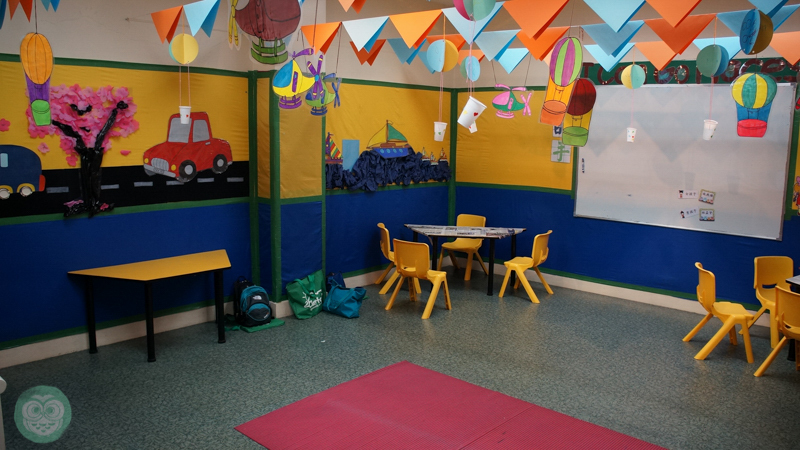 Each room leads to a pocket play area where children can do pretend play and socialize with their classmates. Shortly after our quick tour, lil’ Mr. GJG proceeded to the English PuPs classroom for his trial class. 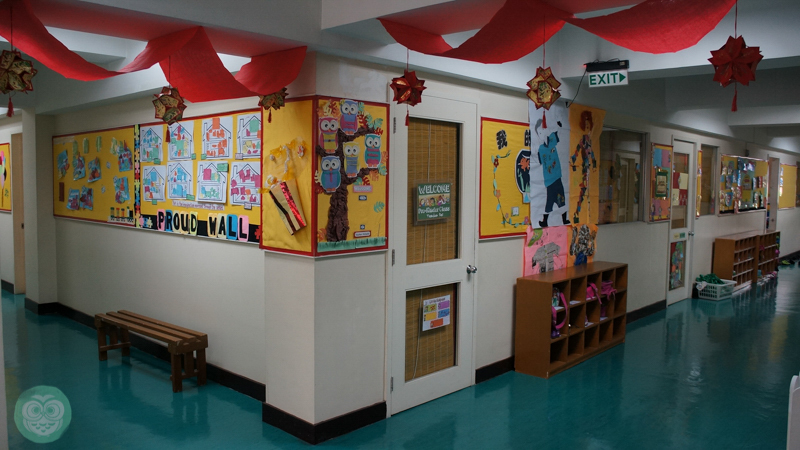 Hand sanitation first before entering the classroom. 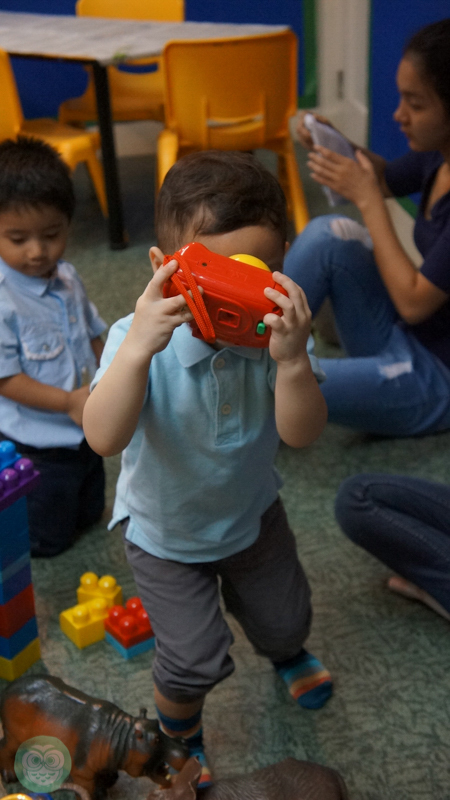 Immediately, the little boy went ahead and play with the blocks along with his new found friend. 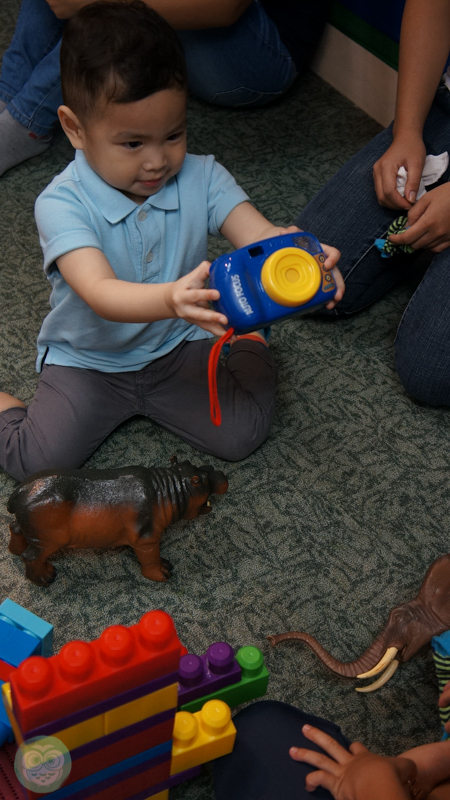 More educational toys were laid on the floor for them to use. 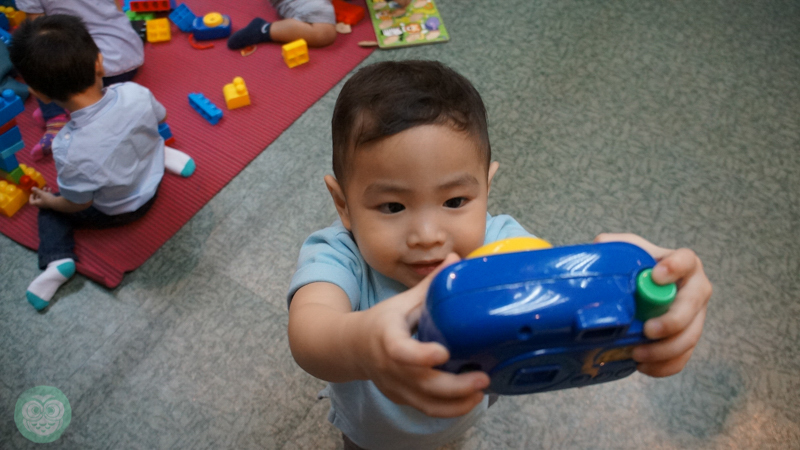 As if by instinct, lil’ Mr. GJG grabbed one of the cameras and started taking photos “SMILE!” he said, while clicking on the shutter. Mr. GJG & I were a bit nervous because this is the first time lil’ Mr. GJG was in a class together with kids his age. He even advised him to not fight his friends because at home, he has a love-hate relationship with his Achi. Hahahahay. Thankfully, he was in the zone and immersed himself in class. His teachers found him very amusing as he was very participative, especially for someone who hasn’t really had any form of schooling. One of the things we taught our children early on is to learn how to pack away. So it was not a surprise that the sit-in student initiated packing away as soon as he heard his teachers say so.Suddenly, I’m a proud momma! 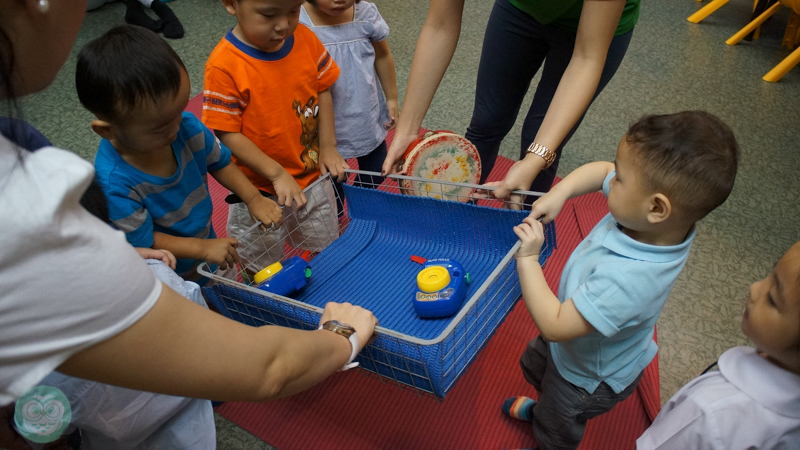 Good job on helping your new found friends carry the basket of toys lil’ Mr. GJG! 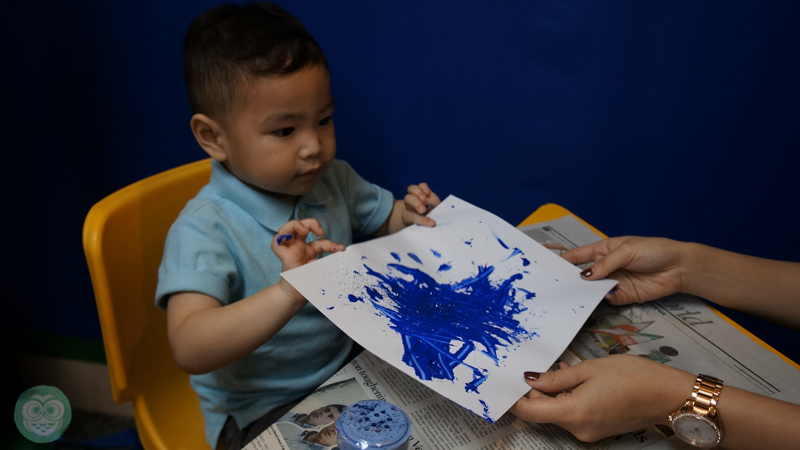 The two-hour class was filled with activities that lil’ Mr. GJG actively participated in. 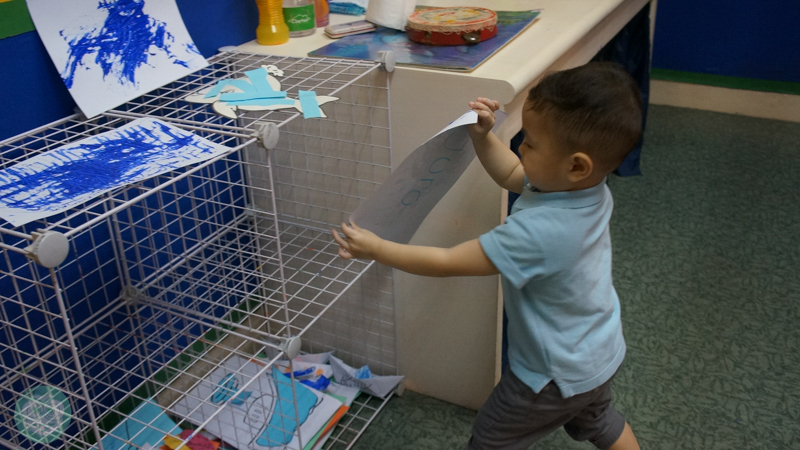 Although there were times that he would wander around the classroom looking for things to do. Overall I believe he did good on his trial class. 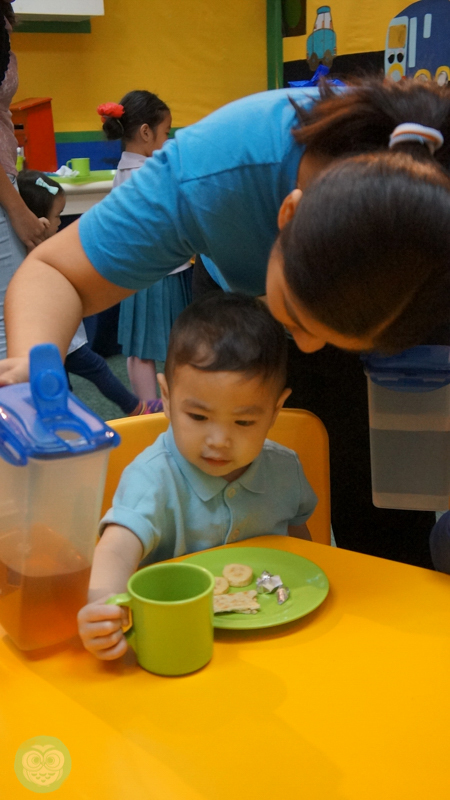 Here he was caught listening to Teacher Hannah as she explained their next activity. Somebody was eager to get his hands dirty and sticky with some glue and paint. 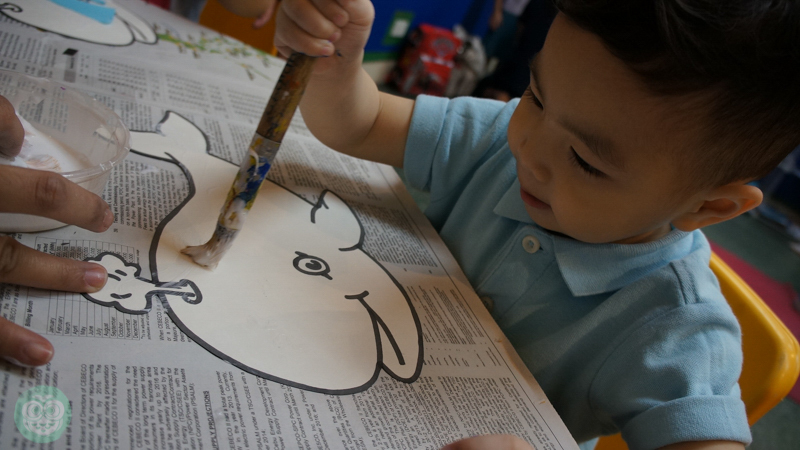 So much so that when Teacher Hannah instructed him to sit and start on his artwork, he happily obliged. I’ve never seen my lil’ Mr. GJG to be this eager before! 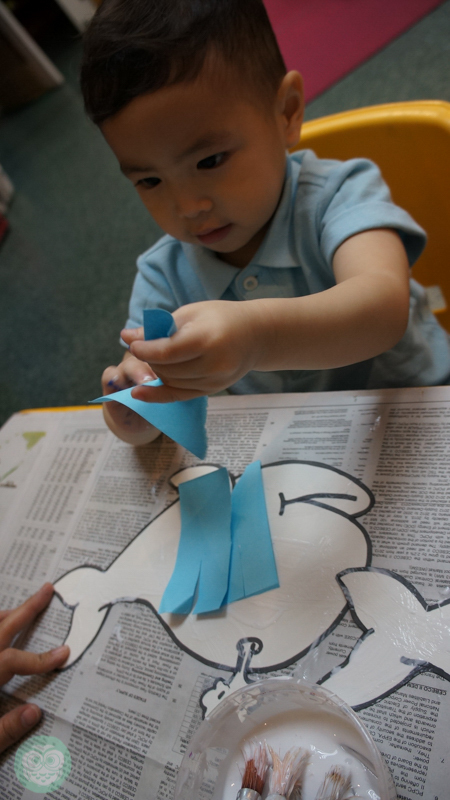 He was able to follow instructions and really listened to his teachers. So impressed I am with this lil’ guy as I’m used to him being rowdy, running all over our apartment while simultaneously mocking his big sister. 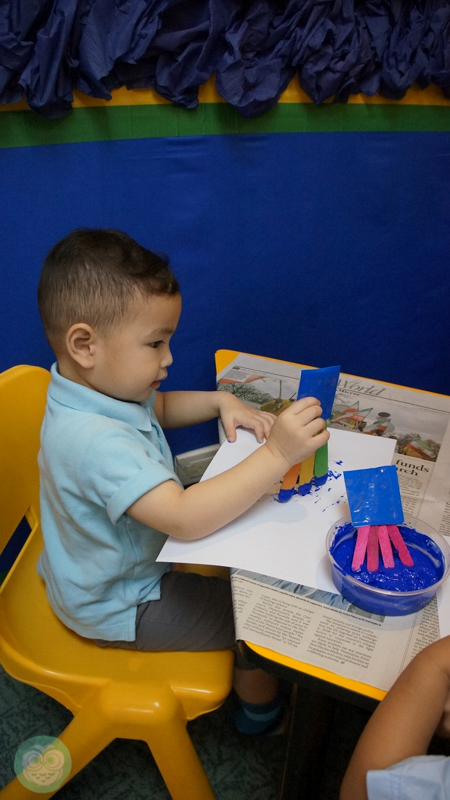 He again managed to do another activity all by himself. Shortly, it was time for snacks. Clayton provides snacks for the kids so no need to prep a snack for your child to bring to school. 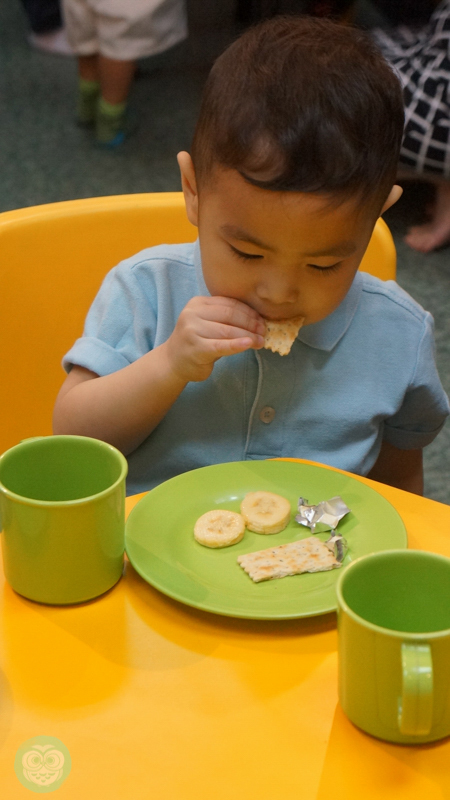 I like the healthy combination of crackers, banana and cheese. 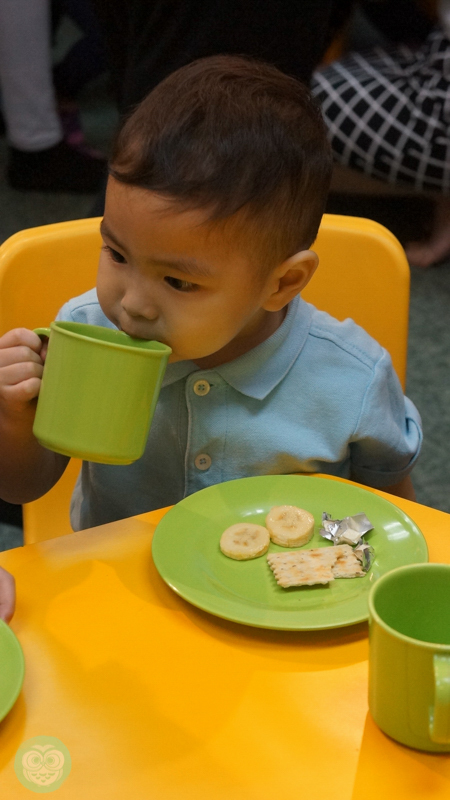 When he was asked what he prefers between water or apple juice, this lil’ guy politely replied “juice please” too kyoooooot! Sigh, I suddenly became sentimental. Seeing him feed himself and even ask for a second serving made me realize I no longer have a baby! 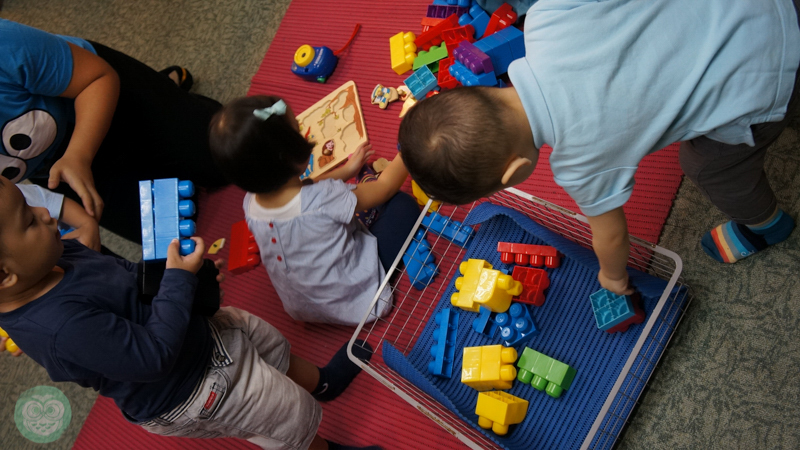 After their snack time, they had 15 minutes in the play area and 15 minutes of music time before the class was over. Looking at the photos, it’s pretty clear that lil’ Mr. GJG really had fun in school. According to the Clayton teachers, lil’ Mr. GJG is suitable for their It’s A Jungle Out There Summer Program. 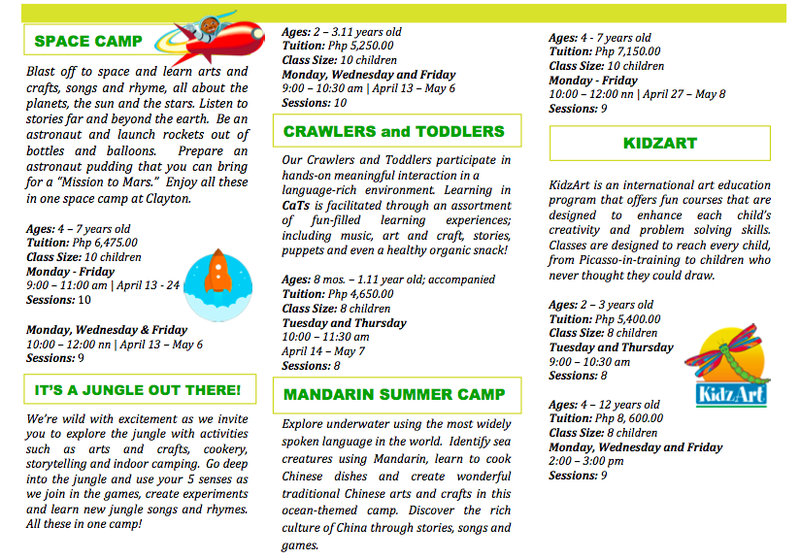 Clayton’s Summer Program is classified by curriculum and grouped by age. 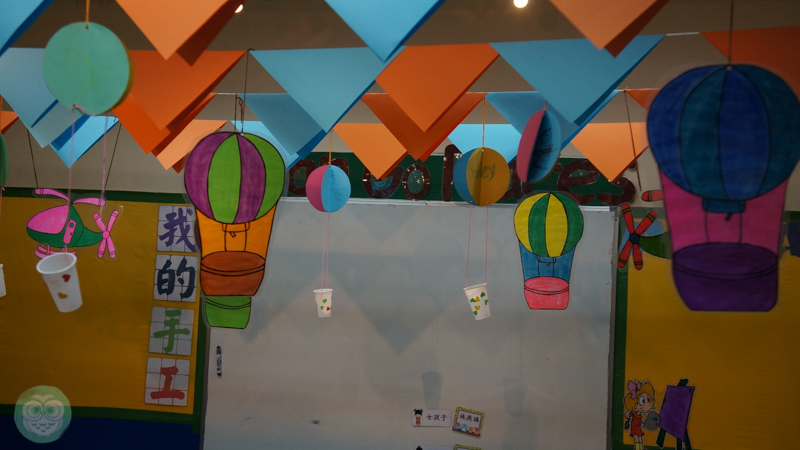 Apart from academic program such as Mandarin, they also have sports & art programs. 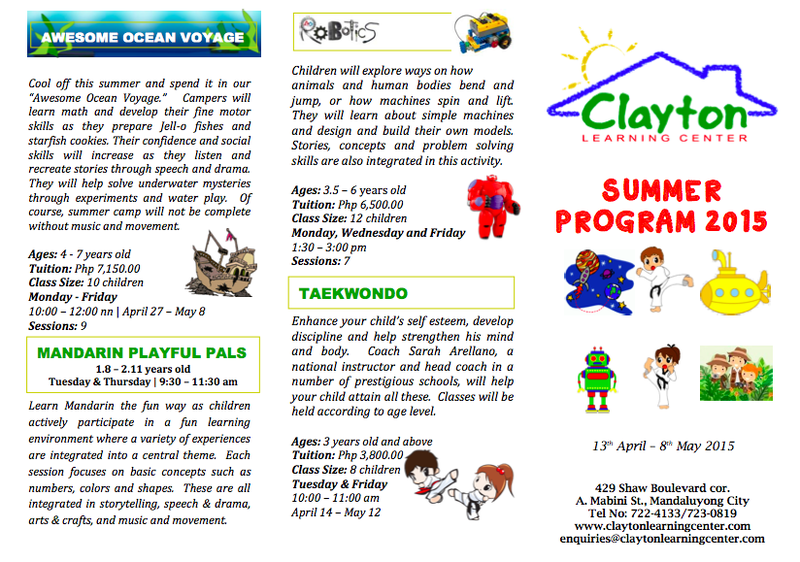 Here’s an overview of Clayton Learning Center’s Summer Program for 2015.